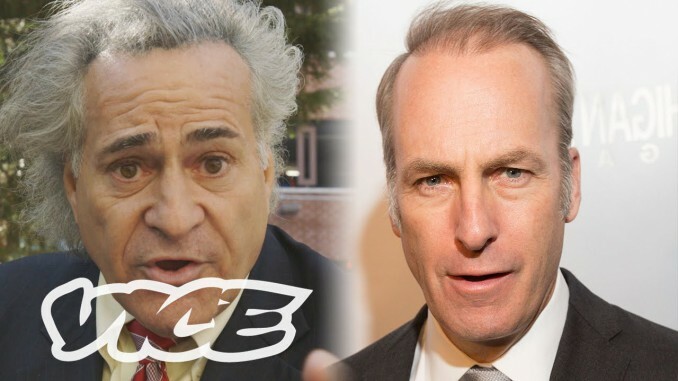 The Real Saul Goodman from ‘Breaking Bad’ and ‘Better Call Saul’? Better Call Saul is an American television crime drama series created by Vince Gilligan and Peter Gould. It is a spin-off prequel of Breaking Bad, which was also created by Gilligan. Set in 2002, Better Call Saul follows the story of small-time lawyer James Morgan “Jimmy” McGill (Bob Odenkirk), six years before his appearance on Breaking Bad as Saul Goodman; events after the original series are briefly explored. The first season, which premiered on AMC on February 8, 2015, consists of 10 episodes. The show’s 10-episode second season premiered on February 15, 2016. Like its predecessor, Better Call Saul has received widespread critical acclaim. It has garnered several nominations, including four Primetime Emmy Awards, threeWriters Guild of America Awards, two Critics’ Choice Television Awards, and a Screen Actors Guild Award. The series premiere held the record for the highest-rated scripted series premiere in basic cable history at the time of its airing.